ORLANDO — As the PGA Tour's collective blood pressure continues to rise over the nuances, intricacies and growing pains involved with incorporating the new Rules of Golf, Tour commissioner Jay Monahan sent out a memo on Monday urging patience and continued collaboration with golf's governing bodies. Conflict has been brewing. Justin Thomas was the most outspoken in recent days, calling the rules "terrible" and getting into a Twitter tiff with the USGA, but he was far from the only critic. Rickie Fowler mocked the new drop rule in competition, Andrew Landry called for the players to make their own rules, and Patton Kizzire praised some changes while calling another "asinine." Monahan's Monday memo reads as a rebuke to those protestations, pointing out the opportunities Tour players have had to effect change. 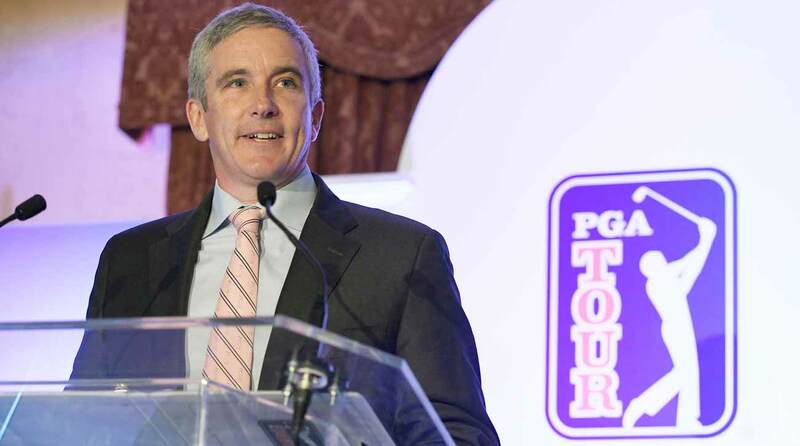 Jay Monahan offered caution when it comes to speaking out on the changes to the rules of golf.